Since 1937, Vibram brand is known for its focus on innovation, performance and durability of its products. FiveFingers shoes are designed according to these values. Their thin, flexible soles are created in the shape and contours of the human foot, but in addition, they perform just as great as anyone would expect when seeing the yellow emblem of Vibram. FiveFingers shoes have options for different kinds of sports activities: running short and long distance, mountain running, kayaking, surfing and indoor sports. XCoSports is the official importer and distributor of Vibram FiveFingers for Bulgaria, as well as a number of world famous brands: GoPro, Patagonia, Scarpa, Direct Alpine, G3 Genuine Guide Gear, ABS Airbag, Black Diamond and others. XCoSports and Basecamp shops are the market leader in terms of equipment for extreme and outdoor sports. 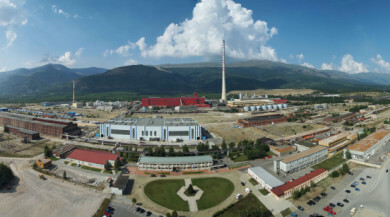 The copper production plant of the Group is in the city of Pirdop, Bulgaria. The plant was built in 1958 and main activity is processing of copper concentrates for the production of copper anodes and cathodes, as well as by-products such as sulphuric acid and fayalit. It consists of four main production units: Smelter, Refinery, Acid plant and Flotation plant. In April 2009 the official approval of the new name of the company “Aurubis” was received, after a year earlier the group Cumerio was acquired by Norddeutsche Affinerie AG (NA), after the approval of the European Commission at the beginning of the year. Today the company employs over 820 people. In 2014 the production of “Aurubis Bulgaria” was 350 000 t. anode copper, 233 000 t. cathode copper and 1 200 000 t. sulphuric acid. The company realizes 8% of the country’s exports to different markets including Turkey, Belgium, China, Singapore, and the imports are mainly by China, the Balkans, the Middle East. Currently the company is the largest user of the Bulgarian ports and rail transport over 2 million cargo shipments per year. Over the past ten years to modernize production and eco-efficiency improvements in company were invested over EUR 500 million, for which are given a number of awards, including “Investor in Environment Protection” (2014, Bulgarian Investment Agency). As a part of the Partnership program for development in Srednogorie region, each year the company has made donations amounting to over BGN 6 million to Municipalities of Pirdop and Zlatitsa for implementing a projects in education, sports initiatives, cultural events, development of young talented children, disabled people and healthcare. A modern, stylish and luxurious hotel providing you with maximum comfort, for corporate events and rest. The hotel is designed to meet the high requirements for holding corporate events of contemporary type – conferences, seminars, team building, training, symposia. The hotel has four main multifunctional, modern conference rooms, two restaurants, a lobby bar and a relaxation area with an indoor heated pool, jacuzzi, gym and massage. 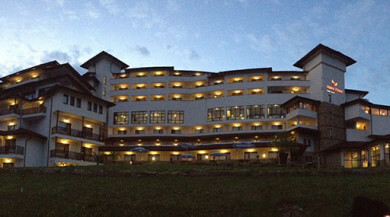 The complex offers 134 double rooms, 10 superior rooms, 8 studios and 5 suites. As a sponsor of Tryavna Ultra, hotel Kalina Palace offers special rates with 50% discount for participants and accompanying persons. Roo Brands Ltd. is a manufacturer of cakes and cookies from organic certified products with proven origin, established in 2012. In only two years, the bio dessert Roo’bar – brand of the company – has become wanted by lovers of healthy eating in over 36 countries, including Dubai and Australia. ROO’BAR +superfoods are 100% organic raw energy bars with superfoods. The bars have a simple formula of 4-5 ingredients and are both healthy and delicious. ROO’BAR +superfoods derive their natural sweetness from dried fruits only – no added sugar. The raw superfoods boost your body and mind with maximum nutrients. ROO’BAR is vegan and gluten free and can be enjoyed in 13 amazing flavors. The makers of Roo’bar believe that with their energy bars they can help people improve their quality of life and learn to pay more attention to natural lifestyle, healthy eating and clean environment. In 1998, pharmaceutical holding “OSOTSPA” Co. Ltd., Bangkok, Thailand – a concern with established positions and more than 100 years of experience in the production of energy drinks, laid the foundations of SHARK energy drink in Europe, based on traditional Thai recipe. Even with his concept SHARK is different from other energy drinks because it contains natural caffeine, not its synthetic version. This fact determines the rapid and strong growth of the product and it became one of the favorites among consumers. Two years later SHARK energy drink is already produced in Austria by the company “SHARK” AG, which is a manufacturer and distributor of SHARK products for Europe and Africa. In a very short period of time the company managed to establish the brand SHARK and turn it into one of the leading energy drinks in Austria. Shark Bulgaria Ltd. is the exclusive representative and official importer of energy drink SHARK, product of “SHARK” AG, for Bulgaria. In Bulgaria, the brand is present on the market since 2000. The young, but at the same time highly qualified and dynamic team strongly contributes to enhance the image and sales of products SHARK. - SHARK Sugar Free does not contain sugar. Due to its efficiency, SHARK Sugar Free is a preferred product in the “sugar free” subcategory in the energy drinks class. Ideal Standard brand is the leading European brand for solutions for the bathroom. Ideal Standard believes that people need to have their ideal bathroom as attainable standard. As an expert in design, and people-oriented, Ideal Standard creates the perfect balance between form and function, helping people get the most of their bathroom and express themselves in the best way. Ideal Standard is the flagship brand of Ideal Standard International.